Southwest Bond Services, Inc. is an experienced bond company providing reliable service for more than 25 years. Our experts provide easy and affordable bond writing service for clients in Arizona. We strive to take the confusion out of the application process and secure your bond in the shortest amount of time possible. Our bond specialists are committed to providing a high level of expertise and customer service for our clients. We only work with the most reputable insurance companies for surety bonds and fidelity bonds, so you can rest assured that your bond is placed with an honest and reputable surety company. 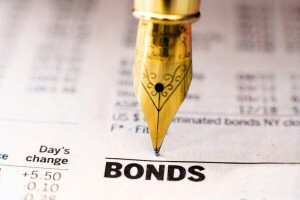 We offer a full range of bond writing series, including contractor license bonds, permit bonds, and contract surety bonds, including payment bonds, performance bonds, bid bonds, and miscellaneous contract bonds. In addition, we can help with court bonds, fidelity bonds, probate bonds, title bonds, and more. When you work with Southwest Bond Services, Inc., you can expect the highest level of experience, knowledgeable service, reliable business practices, and the best response time. We are able to complete the process for some bonds within one day. For those not available in one day, we offer faster service than any other Arizona company. Whether you need a bond specialist for notary bonds, surety bonds, or fidelity bonds, you can depend on Southwest Bond Services, Inc. for prompt, professional service. Please browse our website to read more about our bond services in Arizona and give us a call today at (623) 974-6453 to get started.